The CTA's proposed Belmont flyover project, which aims to ease train congestion, will be more expensive and include more work than initially expected. 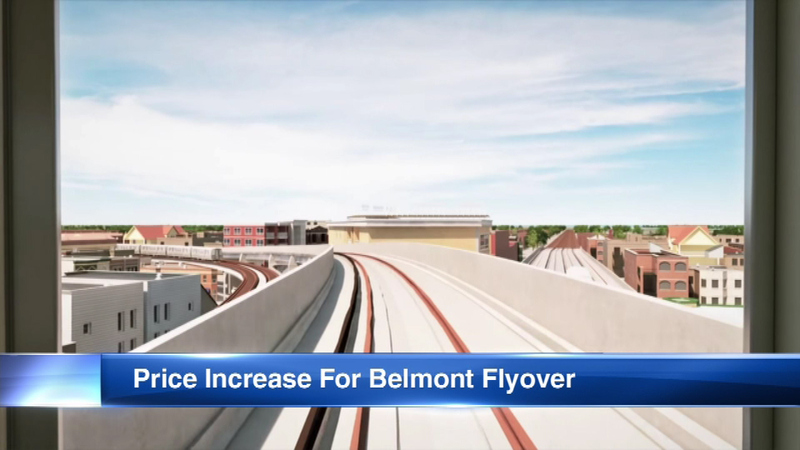 CHICAGO (WLS) -- The CTA's proposed Belmont Flyover project, which aims to ease train congestion, will be more expensive and include more work than initially expected. The project would build an elevated ramp where the Red, Brown and Purple trains intersect. The proposed bridge would allow Brown line trains to go over the Red and Purple line tracks. The CTA now also wants to include other work in the project such as rebuilding some of the tracks.